You can see my video below how I cook Biryani in electric pressure cooker. You can add canned chickpeas with rice in electric cooker and rest of the steps remains the same. This is a great, hearty, and healthy meal. You can serve this Biryani with Raita(Yogurt dip) and papadum. I also love to serve Gulab Jamun with Biryani. Now, if you have some homemade Chole curry left, you can fix your next days’ meal with it. Just cook rice and layer the biryani. I have to have some Chole curry in my freezer as it is my kid’s favorite. 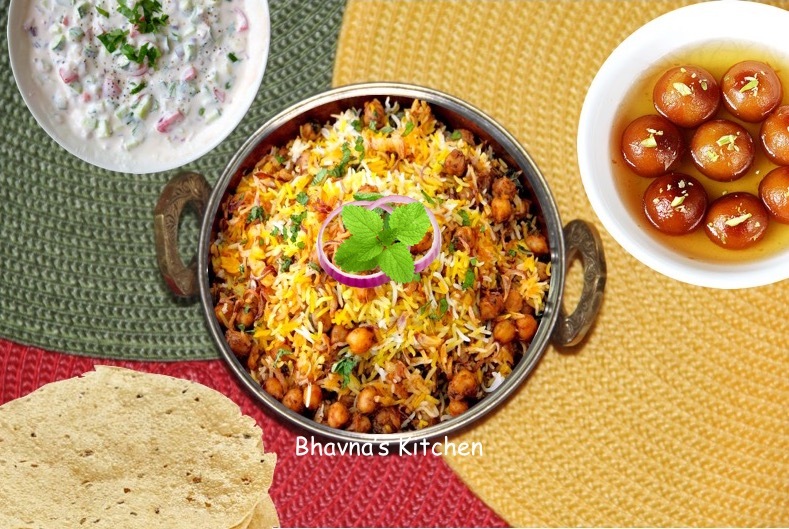 Let’s make aromatic, spiced and a delicious dum cooked and layered biryani with white chickpeas.